There’s always a little bit of light no matter how dark it may seem. Sometimes the most positive change comes from going through the most chaotic times. In a world that seems to be in upheaval in so many ways, we have to ask ourselves, where do we start? The job seems too big. There is so much that needs to happen on so many levels for things to start getting better.But when we are so overwhelmed with the vastness of it all, what do we end up doing?Nothing. The answer is nothing. It seems like nothing that we do can be enough to create positive change. There are so many people suffering. There are people being pushed out of their war torn countries. There are people experiencing such incredible loss and devastation that it is unimaginable. We are living in a country that is being driven apart by politics, leadership, racism, gender bias, among many, many other things. What can we do? Ghandi once said, “Be the change you wish to see in the world.” So simple yet so profound. We start with ourselves. It’s easy to give direction to others about how to improve their lives or what policies need or do not need to be put in place for the betterment of this or that. But often times, it’s much more difficult to take the time to sit with ourselves and identify what we are doing to contribute to this separation. We all contribute to it because we are human and we are formed by our experiences, our traumas, our ancestors, our ego. We build up layers of protective armor so that we can survive. And it’s only until we start to expose our own vulnerabilities, to start to break down those layers, that we can begin to identify how we are either helping to create unity and equality or how we are moving further apart and creating separation. As we enter into our own Soulful Surrender retreat, we will take time during our yoga practice to identify the way that we interact in our world. Our bodies can give us great insight into where we are holding tension or pain and where in our lives those experiences came from. As we move through our practice of surrendering into the experience, whatever that may be, we’ll start to uncover what is holding us back from a life of love, joy, happiness, truth, unity, contentment. As these layers start to dissolve, you will experience a sense of clarity. This clarity will help you connect to whatever your purpose, your dharma, is in this life. This amazing journey will leave you feeling rested, restored and renewed. Sometimes we need to take time to ourselves to connect to where we need to go. Join us on this journey…..nourish your body, mind and spirit! 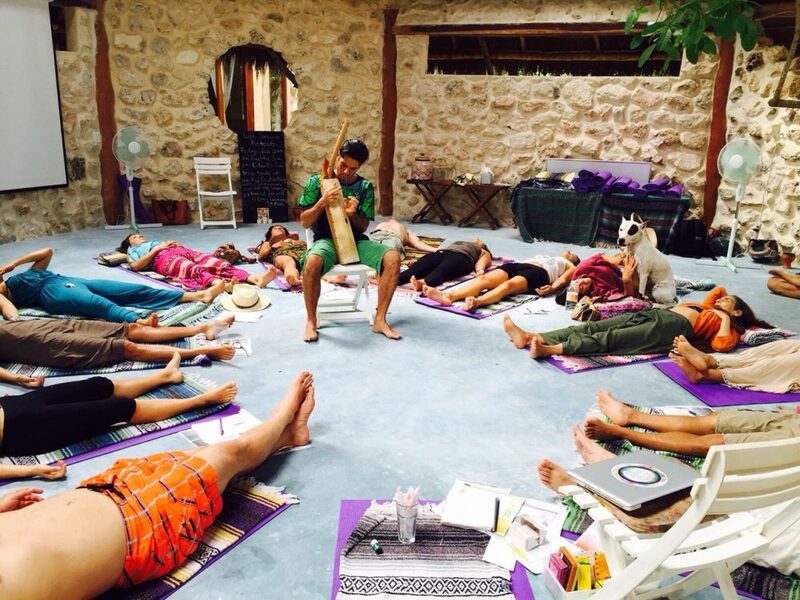 Join Jessica as she co-leads her Soulful Surrender Retreat March 6-11 at Alaya Tulum. Email Inquiry@LifeSourceRetreats.com or click here.